CUSTOM & Made to Order just for you! Presenting our take on a classic Scottish Sporran Belt Pouch, which we created as a custom order for a very loyal repeat customer! Please note the Celtic Sporran pictured is a sample of what we can do. 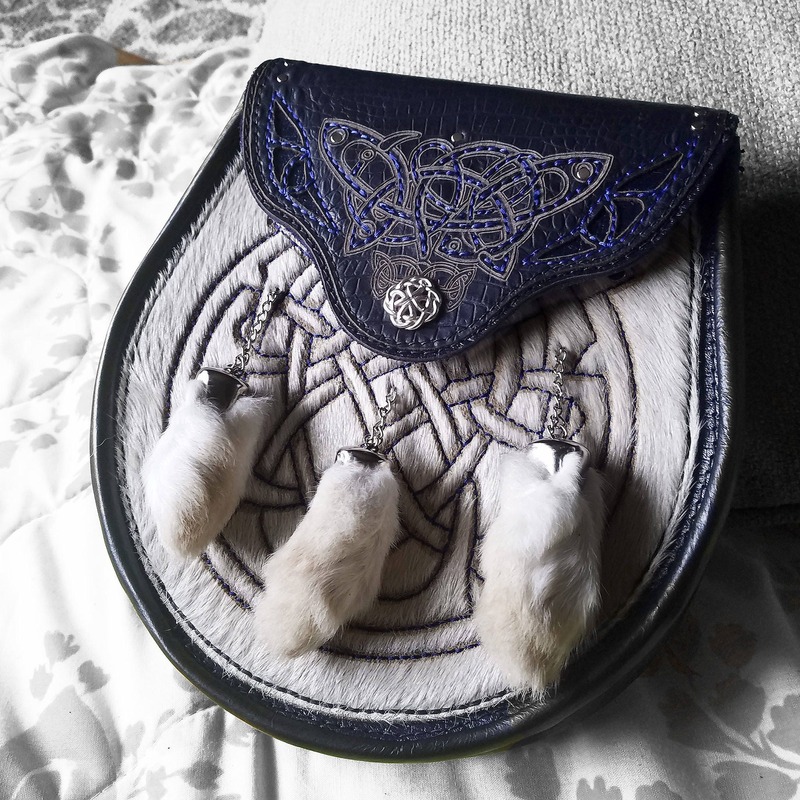 In order to honor the one of a kind Sporran we created for our client, we will be changing out the engraved art/Celtic patterns, hardware, leather etc... Traditionally the Sporran is worn with a pocketless kilt and has the ability to hook onto a belt loop and onto chain. I am convinced there is no pattern or design the genius that is my beloved Aurelius couldn't simply look at and pattern! Its actually impressive to watch! 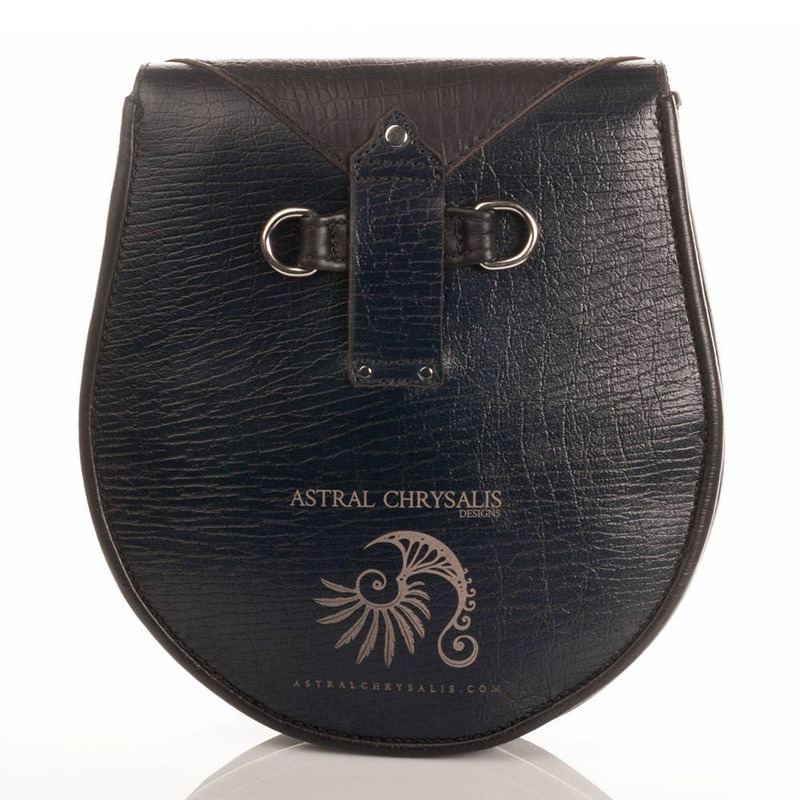 This pocket has art engraving, intricate detail stitch, magnetic snap, belt loop and chain loops in the back and is a generous sized pouch, measuring 10" Tall, 9" Wide and 2" Deep. It is OSFA. 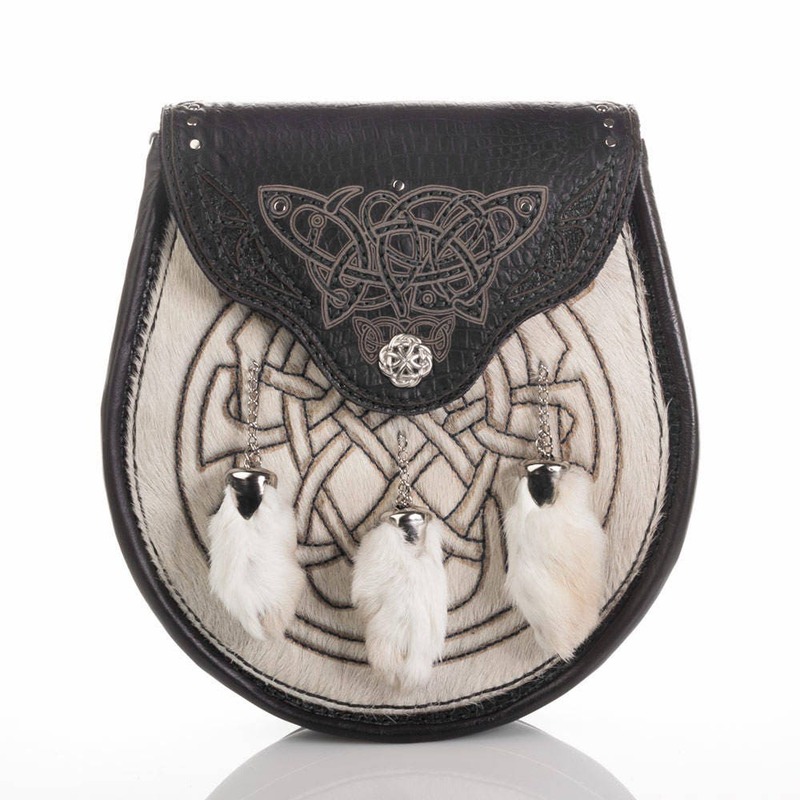 • Is there a traditional Celtic Pattern you would like on your Sporran? You can choose 2, one for the pouch flap and another for the large front of the pocket engraving. 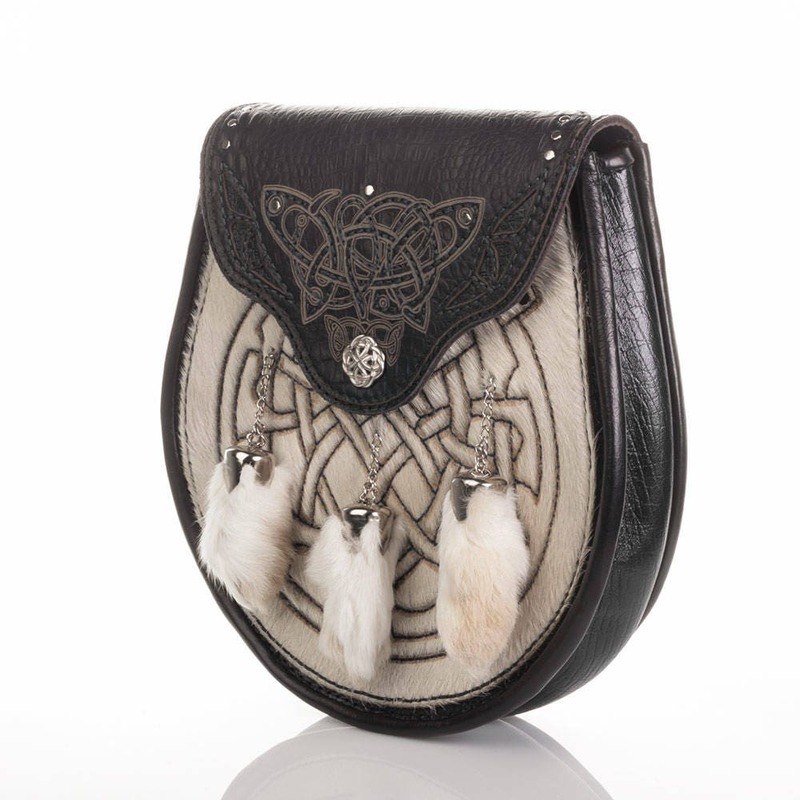 • Do you want the art engraved Cow Hair Hide Front or art engraved Latigo Leather? 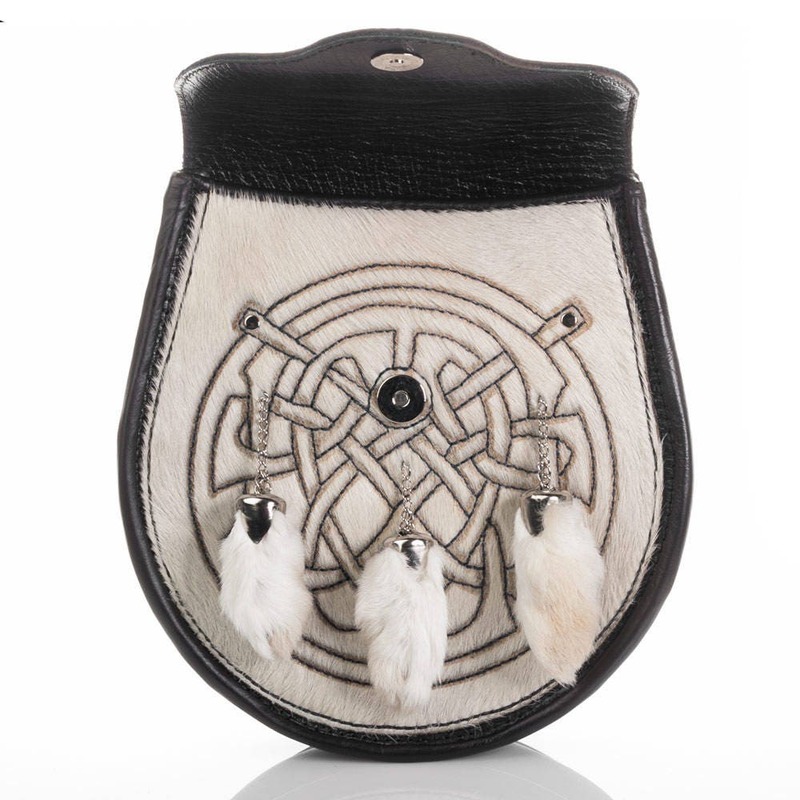 • Do you want the traditional 3 lucky Rabbits Feet hanging from the pouch? If yes, what color Rabbit Feet would you like? • What Color Metal Hardware do you want? All our items are made with our loving hands, in our home art studio. All our patterns are original patterns created by us. We guarantee all our work.